Here it is, the perfect mix of Philadelphia character & modern upgrades you've been waiting for! Hop on the bandwagon & enjoy the Brewerytown boom. This 2 bedroom, 2.5 bath home has been lovingly restored & modernized into an airy, light-filled Brewerytown retreat. Enter through the tiled vestibule, complete with the original doors, & you're greeted with an open living layout complete with high ceilings & an old school mantle with electric fireplace. There's even an efficient powder room tucked away for guests. Flow easily into the kitchen where you'll find tons of storage in the white shaker cabinetry & a granite island for the most daring of baking projects. Put on your apron & try your hand at that shortbread recipe you've been eyeing. Even if you fail at that, you'll be looking good while doing it. Bright white subway tile, multiple windows, under cabinet lighting & a tray ceiling complete this dream kitchen. Outback a private patio awaits your green thumb & a bistro set for evening Old Fashions. Upstairs enter your new office or guest room through the most charming door in all of Philadelphia. 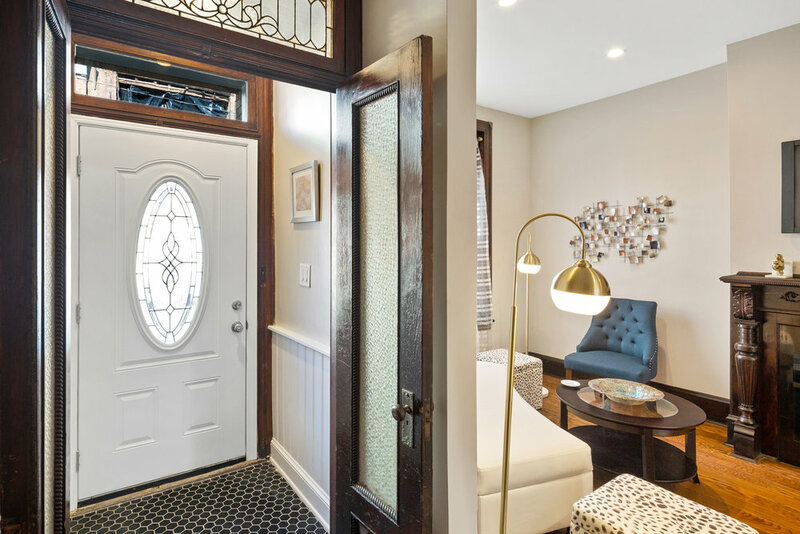 This original arched door will not be found elsewhere—instant wow-factor. 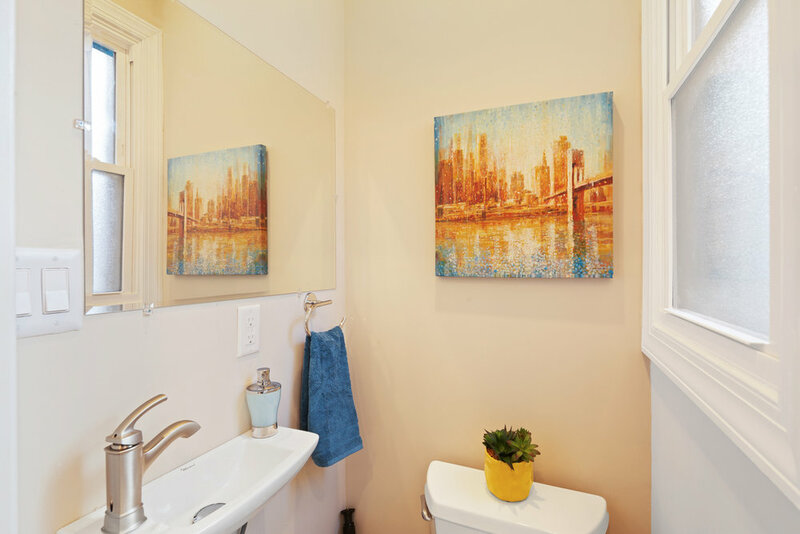 Off the hallway, you'll find a full bath with fresh subway tile & a convenient laundry closet. Entering into your master suite, a large bay window floods the room with light. The master has double closets & fits a king bed. Even the ensuite bathroom has double sinks & an enormous double shower. Sharing is overrated. Downstairs the basement is finished with laminate floors, recessed lighting, has plenty of storage & would make the perfect spot break out the queso & watch the Eagles win their next Super Bowl. Added bonus: this property has a 10-year tax abatement! Forget about making expensive upgrades & an unending to-do list, this gorgeous rehab allows you to focus on the fun stuff, like living your best life in trendy Brewerytown! Caffeinate at Monkey & the Elephant cafe. Show off your talents on open mic night at RyBrew bottle shop. Put on that red lipstick you never wear, snag your favorite bottle of pinot noir & enjoy French cuisine at BYOB, Novaks or swing by Aldi's & whip up your own feast. If fitness is your jam, get mindful at Yoga Movement Sanctuary or spin your heart out at Cycle Brewerytown. City living got you missing trees? Soak up some nature with Fairmount Park & the Schuylkill banks trail at your fingertips. Philadelphia living doesn't get better than this.